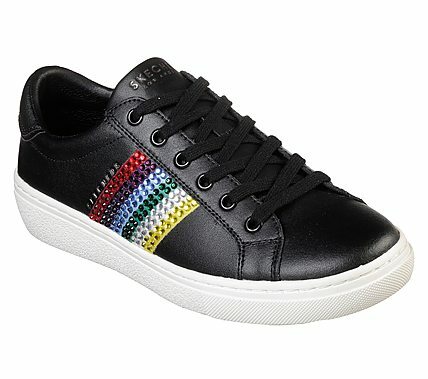 Add a fun splash of color to a classic sporty style with the SKECHER Street Goldie - Rainbow Rockers shoe. Smooth clean leather upper in a lace up fashion sneaker with stitching and overlay. Air Cooled Memory Foam insole.